LeanShips Final Conference “Tangible solutions to reduce shipborne emissions” will take place at the SS Rotterdam in Rotterdam, The Netherlands on the 17th of April 2019. The conference will not only focus on the results of the project LeanShips itself and show its project demonstrators, but will also discuss related projects. Moreover it will also broadcast a number of tangible solutions to reduce shipborne emissions in an holistic framework in terms of regulations and alternative energy & fuels. The conference will include an interactive panel discussion with panel members and the public. The entry fee for this conference is €75,- (excl. VAT). Please note that the participation is limited to two hundred attendees. By using the link at the bottom, you can register for the LeanShips Final Conference. After registration you will receive more information about the venue, travel and accommodation possibilities. 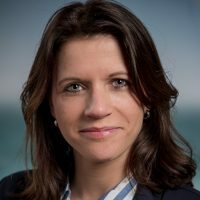 For further information visit our website www.leanships-project.eu or contact Danitsja van Heusden – van Winden, Innovation Manager at Netherlands Maritime Technology, via T +31 (0)88 44 51 035 or E heusden@maritimetechnology.nl. Since its launch on 1st of May 2015, the LeanShips (Low Energy And Near to Zero Emissions Ships) project has been investigating the effectiveness and reliability of energy saving and emission reduction technologies at full scale. The project with its 41 European partners, including equipment manufacturers, shipyards and shipowners from 12 EU member countries and one associated Member State, support the developments that make new and existing vessels more efficient and less polluting. With a total funding of € 15.8 M, seven demonstrators were developed during the four-year project period, incl. a retrofit strategy for cargo ships, a high-speed diesel engine converted for methanol operation or a new-generation tug with two LNG engines. The developed innovations as well as the impact on fuel and CO2 savings as well as reduction of air pollutants will be presented at the final conference.